We utilize the first FDA-approved cold laser in the United States, which has been featured on news stations across the country for its seemingly "miraculous" pain relief capability. It is called the Microlight 830 cold laser. It is classified as a Class 3B laser. We know a lot about "hot" lasers in popular society and their destructive potential (think Austin Powers and Dr. Evil), but the general public does know much about cold lasers and their healing potential, though they have been used around the world for decades. Light therapy encourages healing and in some cases reduces pain when nothing else could. There are no known side-effects and it is painless. 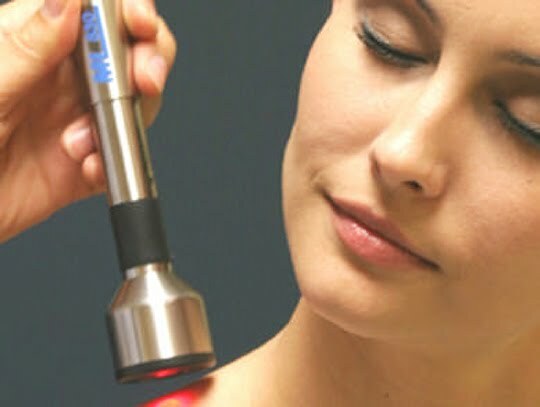 If you need pain relief, give the cold laser a try. You might be flabbergasted at the results. The FDA first approved of the laser for carpal tunnel.